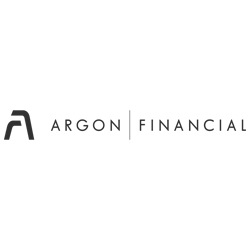 Argon Financial is a full service Category 1 Investment Dealer, authorised and regulated by the Financial Services Commission (Gibraltar) with an EEA branch in London regulated by the Financial Conduct Authority (UK). Our 12 year history has positioned us as one of the leading firms in the provision of global exchange traded and OTC products , via a selection of specialist market access technologies. We have a totally impartial approach to providing the right product and service to every one of our clients, who include HNWs, Funds, Brokers and other Financial Institutions. In conjunction with providing execution services for our clients, we also provide custody services for clients who wish to deposit cash equities, bonds and fund units. Argon Financial’s extensive network of prime brokers, clearers, liquidity providers and sub custodians enables it to cater for most, if not all of our client’s investment and trading needs, enhanced by the ability and expertise to tailor its services and products when required.